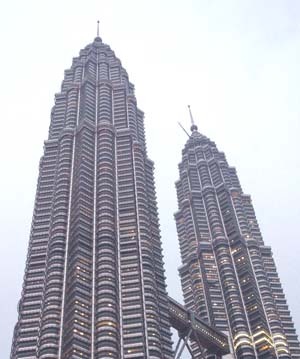 Kuala Lumpur (or KL as the locals will have it) is one of those cities you don't plan to go to. You pass through it on the way to some exotic island, or Australia or the UK. But in reality KL is quite a find. A charismatic blend of gleaming skyscrapers and old colonial buildings. From the heights of the world tallest building, down to the hustle and bustle of Chinatown, you'll find a fascinating, fast moving city that rewards exploration. A good overview is offered by the Lonely Planet team. Agree? Disagree? Email your feedback to feedback@stoppingover.com. Keep feedback to a few lines and we'll publish the best commentary here.